It was a night of home wins as the 2011/2012 PSL season got under way with five matches in Round One, nine more to play before the semi-finals. 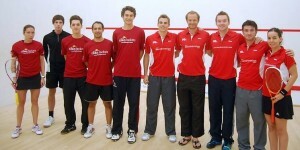 In Group A both Duffield and Nottingham had sealed their wins, leading 3/1, before the top strings took to court. Nick Matthew made it 4-1 to Duffield against Oxford’s 175mph man Cameron Pilley, while Chris Simpson made sure Nottingham kept pace as he beat Chris Ryder to consign Birmingham to a 4-1 defeat on their return to the league. Defending champions Surrey H&R were first to put points on the board in Group B as they wrapped up their match against Bristol 3-0 in quick time, eventually winning 4-1 as Mohamed El Shorbagy beat Peter Barker to earn some valuable points for the visitors. 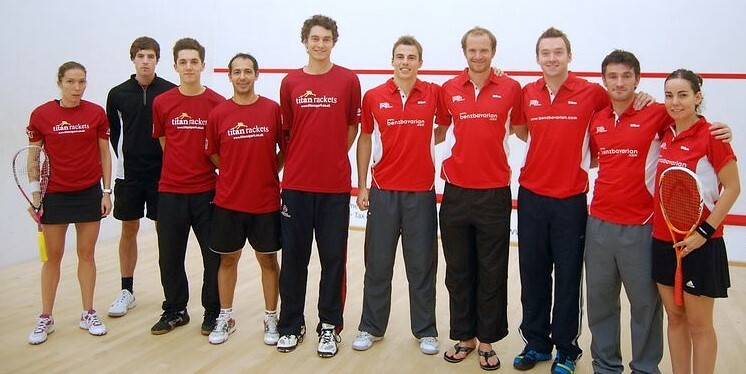 Last season’s runners-up St George’s, despite number one Daryl Selby still being in San Francisco, also wrapped up their win over Chichester with a match to spare, Tom Richards winning the final tie to make it 4-1. 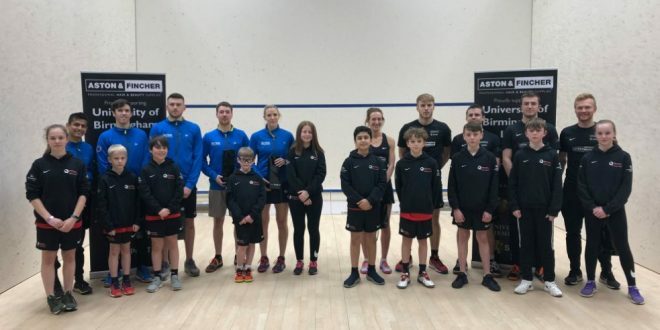 The greatest drama was at Exeter, where the home side went 2-0 up at strings four and five, only for visitors Winchester to level the match with a 3/2 win for Dylan Bennett and another El Shorbagy success as world junior champion Marwan beat Campbell Grayson in straight games. That left it to number ones Stewart Boswell and Joey Barrington to play the decider, and it was Exeter’s Aussie who brought home the points.